Hate the faucets in your bathroom? It’s amazing how something so small can make such a difference – for better and for worse. “For something you touch several times a day, why not pick a finish for your faucet that will make you feel good? 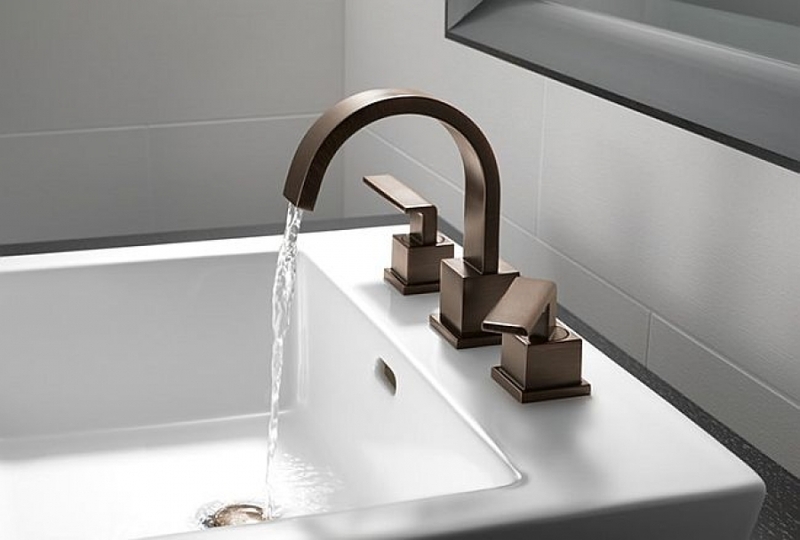 People will notice if you put in an unimpressive faucet,” Peter LaBau, a Charlottesville, Va.-based architect, told HGTV. If you’re in need of a finish update, you have options. Lots of them. There are some major trends in this area, but there are also classic and tried-and-true looks that can give your loo a lift. We’re breaking them down. “Finish-wise, satin nickel still reigns, Leah Peterson, executive VP of SEN Design Group dealer buying and business development group, told Kitchen & Bath Design News. The great thing about both satin and brushed nickel is that they are easy to maintain and clean and are less likely to show water spots. “A great aesthetic alternative to standard chrome and brushed nickel, oil-rubbed bronze gives the bathroom a more traditional look and feel, said Houzz. Brass is back, but not in the shiny ‘80s finish you probably just got a mental picture of. Satin brass has a fresh, modern feel. If you really want to be on the forefront of change, consider rose gold. Or maybe gunmetal.